""Busy busy busy"" as the spinners of ""Las Hilanderas,"" the poems in Hollander's complex 17th collection (following 1993's Tesserae) toil and trouble over the work of representation. With his nose habitually close to the book, the professorial poet and critic (The Gazer's Spirit; Rhyme's Reason; etc.) tries on a number of metrical and tropic hats to make this book a manual of the craft. Identifying with ""the spider/ Spinning out of its own guts,"" Hollander's work takes its external structure from its author's internal composition. No wonder then that strains and forms from the Old Testament to Browning to James Merrill make their way into this web. Hollander's scholarship is everywhere in evidence, as is his playfulness. In the Swinburnian ""A Fragment Twice Repaired,"" ""JH"" (as he names himself) gives voice to the torn papyrus that's all we have of the Tenth Muse and corrects the errors wrecked on text by ""Eras of eros."" Punning and teasing--nearly a nuisance in ""Variations on a Tabletop""--the poet teaches his readers a lesson. There is about these poems the whiff of mortality. Asserting that ""There's no reaching through any final curtain/ With some last work, adding a participle,"" Hollander warns of the limits of language and its inability to prevent the dust from turning back to dust. (Mar.) 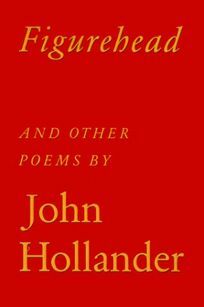 FYI: Hollander's A Crackling of Thorns won the 1958 Yale Younger Poets Series Prize. He is Sterling Professor of English at Yale.